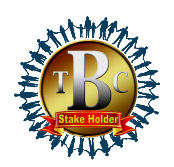 This forum exclusively for The Billion Coin Stakeholders and About TBC only. What makes TBC The Billion Coin a real Digital Currency or CryptoCurrency? MAY I JOIN TO THE BILLION COIN COMMUNITY?? *Permanent Address: San Francisco, California, U.S.A.
*Tell us more about your self: Hi there cute Filipina members of the TBC, I am looking for a Beautiful Girl to be my girlfriend here as well, anyone out there among this group? I respectfully testify that the above information and details given above is all true and correct. So please accept my application to become a member of the group.